Organic Maple: What’s the Difference? This quick-and-easy recipe is sure to please the most finicky of eaters. In a large, deep skillet, heat vegetable oil. Add the bell peppers and cook over moderately high heat, stirring, until softened, about 10 minutes. Add onion and garlic, cover and cook over moderate heat, stirring occasionally, until softened, about 5 minutes. Add the pork, maple and vinegar, and cook for 3 minutes more. 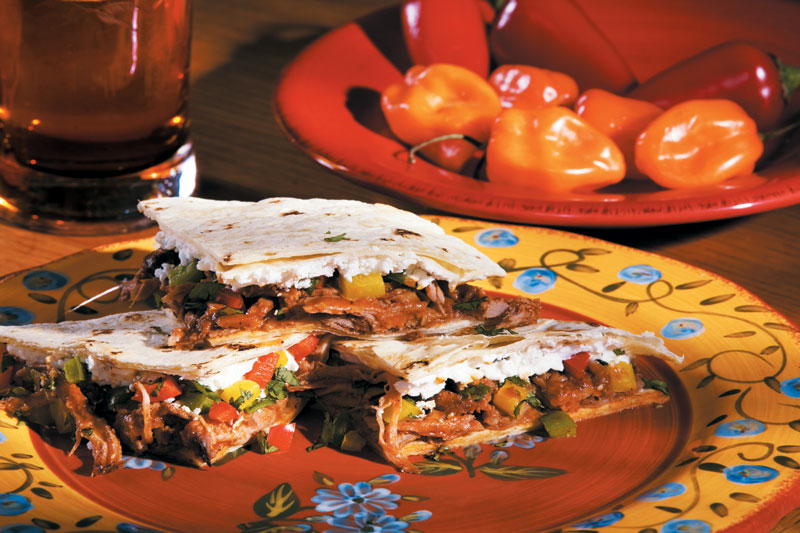 Spoon the pork and bell pepper mixture into tortillas and fold in half. Brush the tortillas with oil. Heat 2 large skillets. Working in batches, cook the tortillas over moderate heat, turning once, until crisp, about 7 minutes. Cut in eighths and serve.